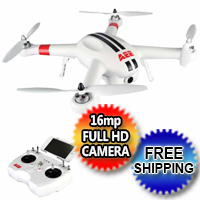 Purchase This AEE Toruk AP10 Pro Drone Quadcopter UAV with 16MP Full HD Camera - Auto Return & Live View - Free Shipping Today! Limited Quantities Available! Call 1-866-606-3991.